Well, the weather outside is frightful so not much work is being done on 10 Horse (we're knee deep in snow!) but look what just arrived on our doorstep! 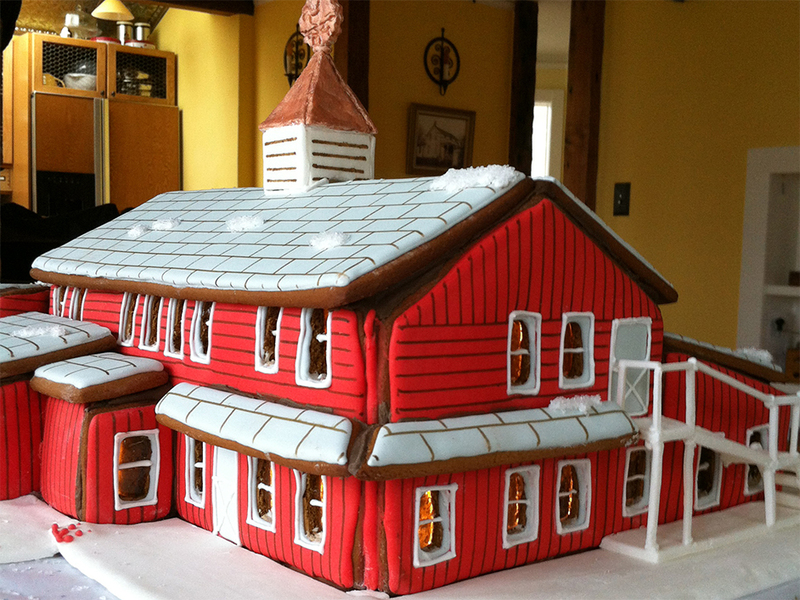 A Holiday Gingerbread model of 10 Horse Art Center! 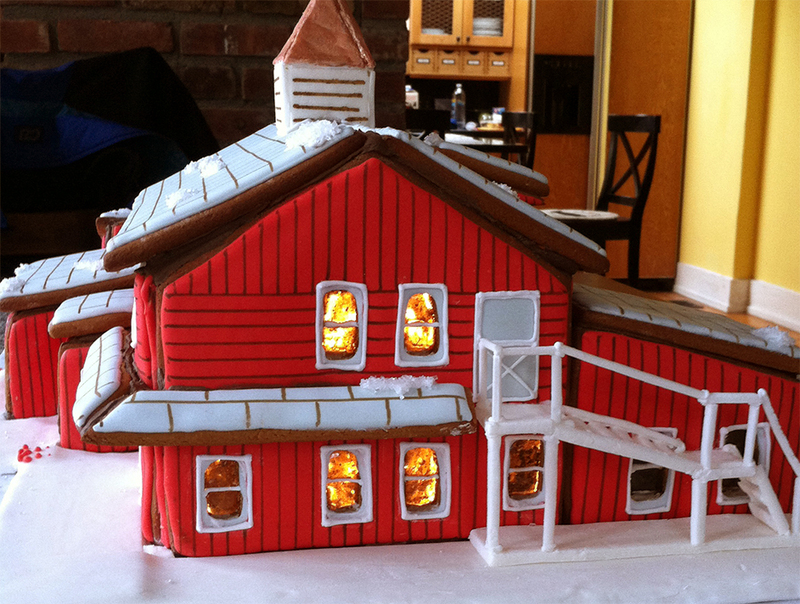 This delightful treat was made by 10 Horse project manager Justin Barros' mother Marcella Lawrence. Marcella is a wonderful cook and baker and we couldn't be more surprised and excited by her inspiration. 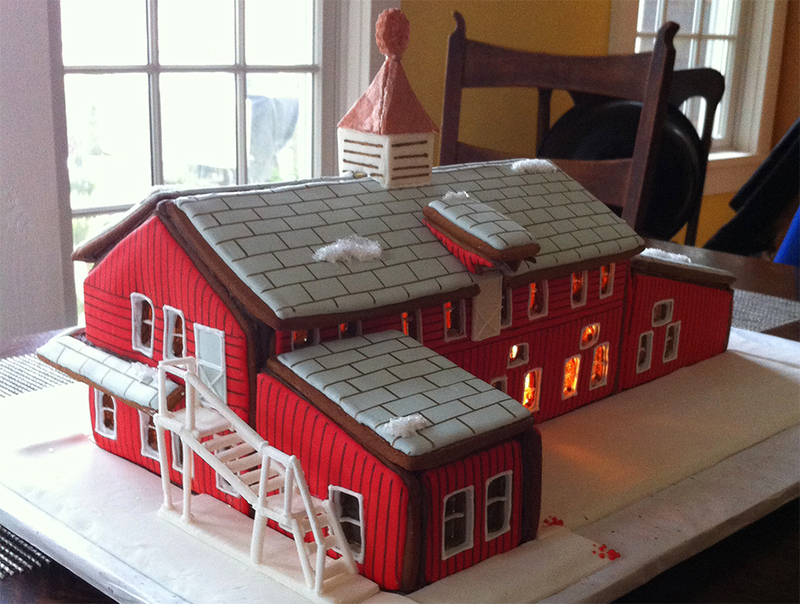 This sweet version of 10 Horse even has lights on the inside! What more could one ask for this Holiday Season? Thanks Marcella and now we can envision our first 10 Horse Christmas tree ornament that we'll make sure is available at the Saddle Store!